Listen up Newlyweds! Now that you are back from the honeymoon and the celebration excitement has settled, read up on these Top 10 Newlywed To-Do’s post-wedding, and get a jump start on real married life. 2. Congratulations, Mrs. NEW NAME! It’s time to change your name! It is best to change your name legally within 90 days of your “I-Do’s.” Don’t forget your driver’s license, passport, social security card, and all credit cards and bank accounts. It may be helpful to bring along your marriage license as proof of your new name. Whether you and your new husband decide to file this year’s tax forms separately or jointly, it is always a good idea to call your accountant ASAP for advice on handling the legalities of marriage. Before mom starts to nag, get your Thank-You cards in the mail within two months of your wedding. Try dividing and conquering: give yourself a goal to do so many each night, that way the stack won’t feel quite so daunting. And even though you have the better handwriting out of the two of you, it is important that BOTH of you sign the card! Whether you send out an email blast or handwritten announcements, be sure to share your new address with family and friends. You would want to miss out on that ugly sweater holiday card from Aunt Vera, would you?! Let’s face it: you don’t need three of the same really awesome toasters cluttering up your counter space! Tackle that registry return list ASAP. Not every store has the same registry return policy, but many do have a refund-by date, so don’t wait too long. Don’t put off your photo selections and video requests too long. Most photographers and videographers have a standard contract time of six months to one year to place all album orders and prints. Wouldn’t you rather have an awesome album to show off to family when they visit, rather than everything on a disk? Many companies **like Dezember!! ** even offer huge discounts for purchasing prints and albums early!! Hopefully you have had the big “Money Talk” long before you walked down the isle, but now is the time to settle those tricky financial questions. Most couples opt to combine their savings into a joint account, and luckily, all you need to do so is a quick trip to the bank to fill out the necessary paperwork. What’s mine is yours, right? For couples choosing to keep separate finances, it is still a smart idea to discuss who will be in charge of fulfilling the various bills and emergency expenses that come your way. Don’t forget the inevitable student loans, with interest, that may be coming your way! There is a lot more that goes into the legality of marriage than just changing your name. Discuss with your new spouse what insurance and health companies you will use, by comparing costs and treatments options with your HR departments. Consider drawing up a will that also reflects your newly combined assets. And don’t forget the car title too! 10. You Cook, I Clean. 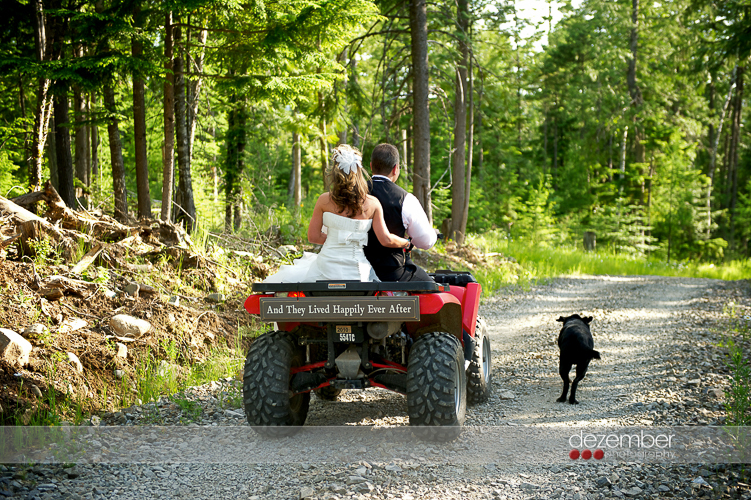 To all of the newlyweds out there… just because you are home from the official honeymoon, doesn’t mean it has to end! To read more of this helpful article from [the nest], click HERE!